Finally! A knit all for me..
And that time was now!! I also had this strong urge to make something- anything- in BLACK. And I haven’t seemed to be the only one wanting to knit in black. 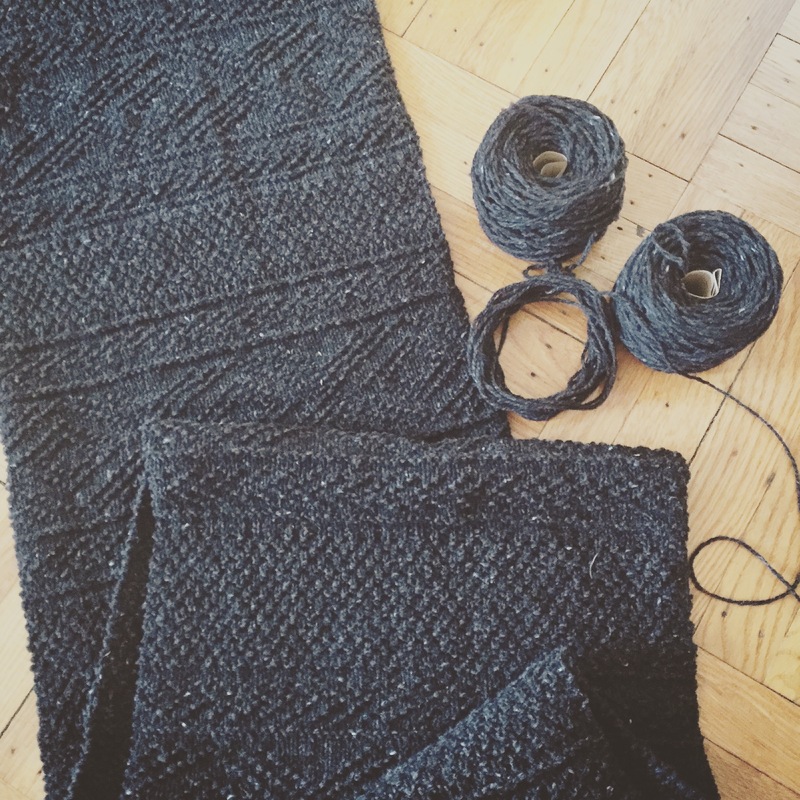 A couple other knitters I follow and know have been drawn to the darker yarns recently… Hello handknit trend.. But anyways..the Ludlow; while the pattern calls to use Brooklyn Tweed’s Loft yarn, I favor their Shelter a little bit more so along with a very friendly and helpful employee in NYC’s Purl Soho, I managed to substitute and work out the math to have the pattern accommodate Shelter.